One of my main goals for 2019 is to read 20 books, I think it’s manageable and I’ve got off to a good start. I thought I’d do some January book reviews to give you all an idea of what I’ve been reading, and listening to on audible, and if I have any recommendations for you. I won’t give away any spoilers but I’ll just outline the gist and my thoughts on each book in turn- plus the all important rating! I’m sure a lot of you have this on your reading list for this year as it was a very popular gift at Christmas time. I listened to this hefty autobiography on audible. Firstly this woman has got the most calming voice ever, she made car journeys to and from night shifts at work bearable. I found every part of her life so interesting and I learned loads about Michelle herself and about the political system in the US. You can just tell that this woman takes no crap and yet is very caring and down to earth. This look at her life covers everything from her childhood, through the White House years, right up to leaving the Presidential home. If you’re worried about the size of the book I’d recommend the audio book version, it’s easy to listen to and she tells an anecdote fabulously. This was the first novel I’ve read in a while and I was not disappointed. It took me a few chapter to place the timing of the book, I could tell it wasn’t set in present day America but I couldn’t put my finger on the year. Turns out it’s in the late 1990’s- the cinema trip to see Titanic gave it away. There are a few sub-plots going on in this book which all link, but until the closing chapters it’s not clear why. This is what gripped me most, I could tell certain details were relevant but I couldn’t pinpoint why. 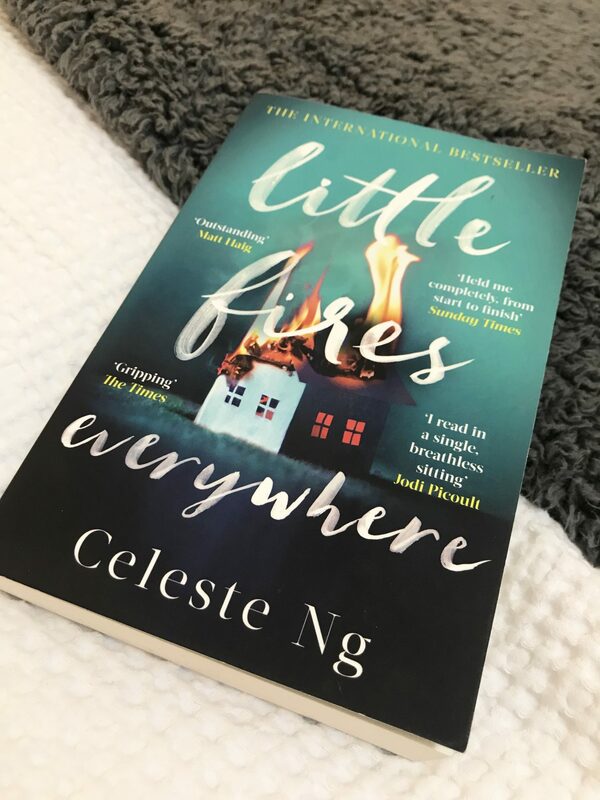 The story starts with a raging house fire, but the rest of the novel loops back to explain the series of events which led to that point. There is a lot of focus on motherhood and babies, and most importantly what makes somebody a mother. All in all very intriguing and a good read if you’re wanting to get back into fiction. This short book is a series of short feminist essays. 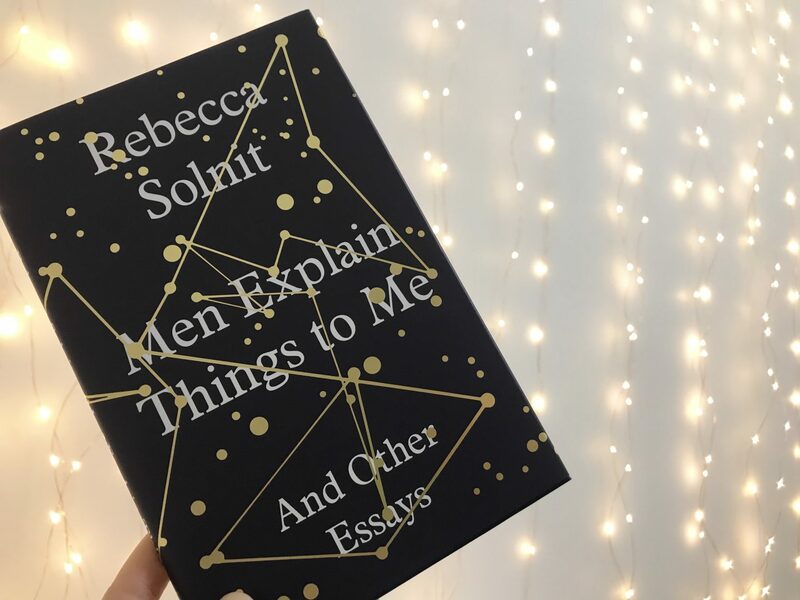 The first essay, Men Explain Things to me is very funny and very familiar. She talks of a occasions where men try to explain things we already know but they assume we do not because we are women. It’s a pretty relatable piece and one which looks back upon the experience with a bit of humour and laughter at the expense of said man. However the later essays have much darker themes including sexual assault, domestic violence and gender-motivated murder. There are some pretty shocking statistics. This therefore doesn’t make the latter essays a particularly “enjoyable” read. Don’t get me wrong I devoured the whole book in one sitting but it’s not exactly lighthearted throughout. I think it’s a decent introduction to feminist literature with a mixture of humour and more serious tones mixed in. It seems I am a fan of an autobiography, which I never thought of myself as. Trevor Noah is a South African Comedian who grew up under Apartheid and was the child of a white father and a black mother. His genetic makeup was therefore a crime. His account of his childhood and how much time he spent indoors where he could not be seen, gives a very interesting insight into how society functioned during this time. There are stories of serious threats to his safety as a child growing up in a volatile area, mingled with anecdotes about how naughty he was as a child and teenager. Again this is another audio book I’ve been enjoying read by the author. I’m not quite finished it but I reckon i’m 3/4 of the way through it. Having briefly studied Apartheid at University I find the whole concept fascinating so the legal and historical side of the book interests me just as much as the comical aspect. Having read Knights previous books this was an obvious pick for me. Her books are hilarious, full of expletives and are good at giving you a kick up the behind to remind you to do what makes you happy and how to help prioritise your time better. You Do You, is all about ignoring “the haters” and being Self ISH not selfish- there is, you will learn, a subtle difference. Again I’ve not quite finished this one but I can definitely say it has reminded me no to worry so much about what everybody else is doing with their life and just focus on myself. 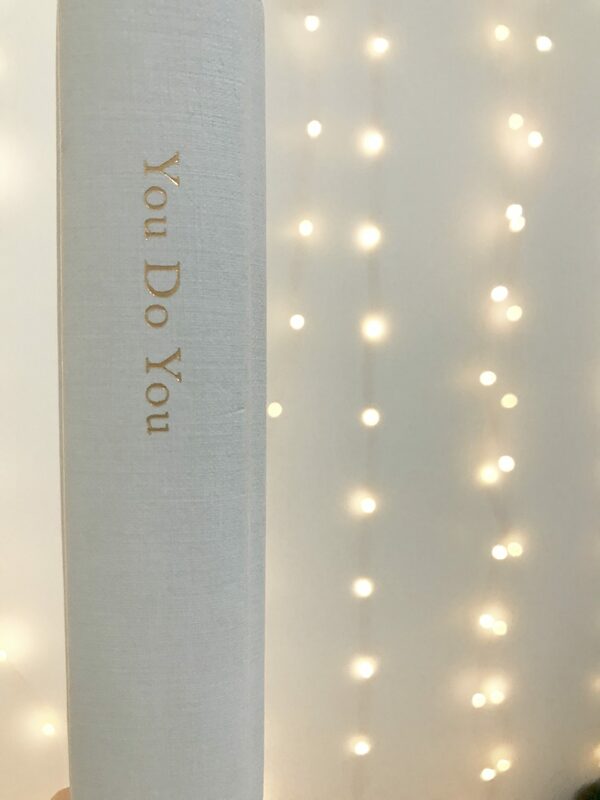 Basically if you’re a bit unsure of yourself or you feel like you don’t quite fit the mould society expects us to fill then this is the book for you. So there you have a roundup of everything I’ve read so far in 2019. Hopefully you’ve enjoyed this January book review- let me know if you’d like more through the year. Let me know in the comments below if you have any recommendations, I’m always after new book suggestions! Previous Post Am I Sustainable Enough? 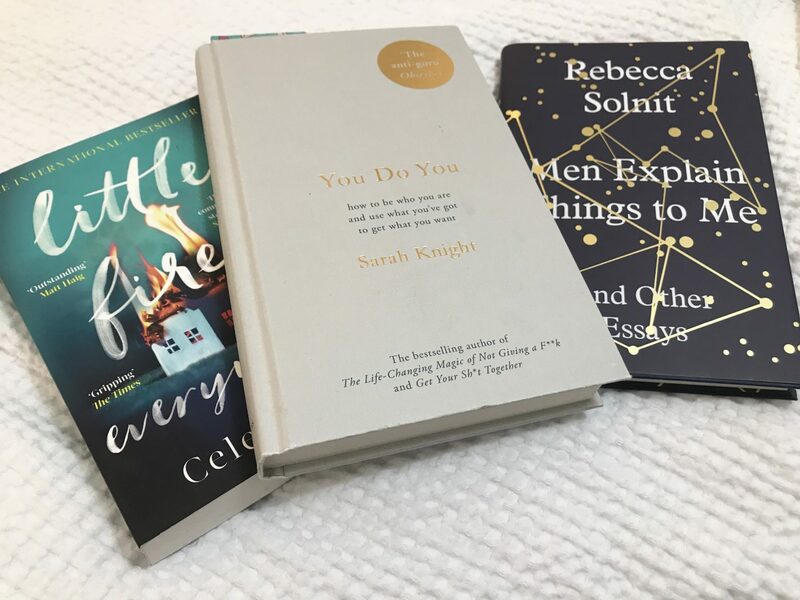 Thank you for reviewing these books – I have been looking for some new books to read in 2019 and these are all such good recommendations. I want to read Michelle Obama’s book but was not sure whether I would enjoy it as I am not a huge fan of Politics. I have another of Sarah Knight’s but have yet to read it. I definitely enjoy fiction more than non-fiction although I have heard several people preach about Lily Allen’s autobiography so would like to read that too. Thanks for reading Hannah! Yeah I was worried about Michelle’s book but I was honestly surprised. I read Lily Allen in December and that’s another great one, she’s had a really interesting life and there’s a lot more going on than what’s been featured in the press! I think fiction wise I want to read Circe next! I love goodreads! It’s fab to see lots of recommendations all in one place ad a good place to track what you’ve read yourself too. I would LOVE to read one of Sarah Knight’s books, and after reading your review I kinda want to read it even more!